Adranosite: Mineral information, data and localities. After the Greek name of the ancient fire god Adranos (Latin: Adranus) who,according to legend, lived under Mount Etna before being driven out by Hephaestus (Latin: Vulcan). Adranos was worshipped all over Sicily, but particularly in the town of Adranus, now named Adrano. The Al analogue of Adranosite-(Fe). Unique combination of elements. 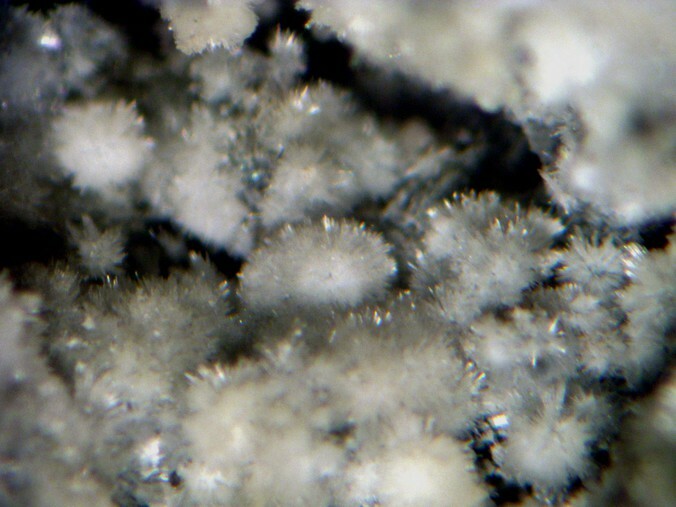 One of a few ammonium-sodium sulfates among acmonidesite, adranosite-(Fe), lecontite, möhnite, and therasiasite. In the crystal structure there are: (1) NaO4Cl2 tetragonal square bipyramids, that have common Cl in corners; (2) AlO6 octahedra and SO4 tetrahedra that join to form spiral chains parallel to . D'Ansite-(Fe) 2 photos of Adranosite associated with D'Ansite-(Fe) on mindat.org. Therasiaite 1 photo of Adranosite associated with Therasiaite on mindat.org. 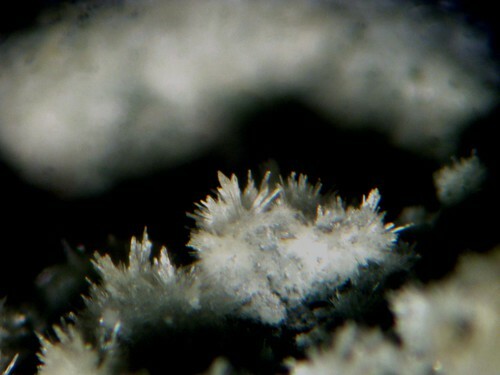 Ciriotti, M.E., Fascio, L. & Pasero, M. (2009) Italian Type Minerals. Edizioni Plus, Università di Pisa, Pisa, Italy, 357 pp. Demartin, F., Gramaccioli, C.M., Campostrini, I. (2010) Adranosite, (NH4)4NaAl2(SO4)Cl(OH)2, a new ammonium sulfate chloride from La Fossa crater, Vulcano, Aeolian Islands, Italy. Canadian Mineralogist, 48, 315-321. Szabó, D., Lovász, A., Weiszburg, T., Szakáll, S., Kristály, F. (2015): Ammonioalunite and adranosite-Al. 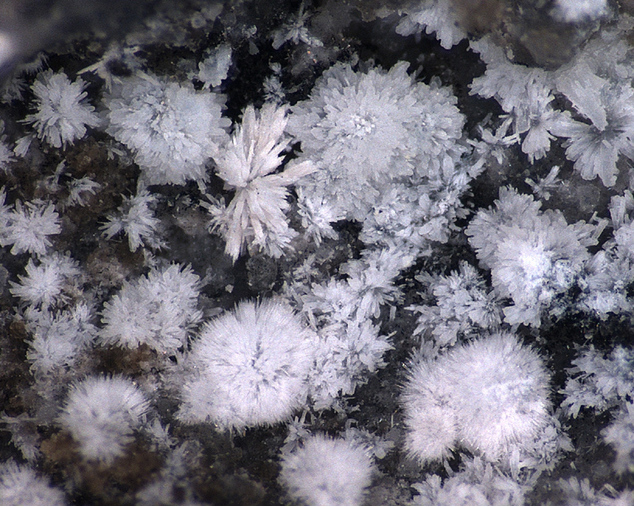 New mineral species from the burning coal dumps of Pécs-Vasas, Hungary. Poster session presented at: 6th Mineral Sciences in the Carpathians Conference; 2015 May 16-19; Veszprém, Hungary. Demartin, F., Gramaccioli, C.M., Campostrini, I. (2010): Adranosite, (NH4)4NaAl2(SO4)Cl(OH)2, a new ammonium sulfate chloride from La Fossa crater, Vulcano, Aeolian Islands, Italy. Canadian Mineralogist, 48, 315-321.